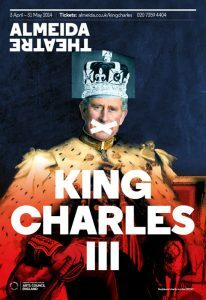 Mike Bartlett’s recent play King Charles III, nominated for six Olivier awards, opens and concludes with a royal succession. The plot is a prophecy about Prince Charles’ future kingship, in which Charles uses dormant royal powers to stop Parliament passing legislation he disagrees with, and so sparks a revolution. Revolution is probably not at stake in today’s Supreme Court decision to release the real Prince Charles’ ‘black spider memos‘. But these letters will bring the Prince’s political leanings under scrutiny. The memos are a series of letters written by Charles to government ministers in the early 2000s. The Guardian newspaper issued a Freedom of Information request to see the correspondence in 2005, but it has been successively blocked. In 2012, the then Shadow Attorney General Dominic Grieve claimed that the publication of Prince Charles’ letters would damage his perceived political neutrality. Stating that this would not be in the public interest, Grieve refused to authorise their circulation. This morning, the Supreme Court ruled that the general public can finally have access to the letters. To get a sense of what is at stake in this case, it is worth asking what happened when the last time a royal Charles’ writings were leaked to the press. It is not the first time that this has happened: both Charles I and Charles II had their private writings published. In different ways, the decision to publish these earlier writings raised the same basic questions about power, access to knowledge, and the extent of royal authority as the modern case about Prince Charles. Ultimately, people’s capacity to ask these questions shaped the constitutional monarchy that we have in Britain today. Charles I’s personal letters were illicitly published in the middle of the civil wars, in a provocatively titled pamphlet The King’s Cabinet Opened (1645). This was a serious blow to the royalist cause. The letters were literally taken from Charles I’s writing cabinet, which royalist soldiers abandoned on the battlefield after a defeat. The correspondence was between Charles I and leading political advisors, including his wife Henrietta Maria. It touched on issues like military strategy, peace negotiations, and even the toleration of British Catholics. Damningly, Charles I seemed willing to aid British Catholics in order to gain financial support from Catholic allies such as France. But most importantly, he made it clear that he did not intend to keep his promises to parliamentarians. Throughout the letters, his disdain for what he called the “Mungrell Parliament” was obvious. This correspondence offered hard evidence that the king could not be taken as his word. The parliamentarians decided that it was in the public’s interest to share the king’s thoughts. As the government will now have to do, they debated the best ways in which to present the material. They held a public reading of the correspondence at Common Hall in London, and then published thirty-six of the letters with an introduction and explanatory notes. These appendages offered interpretations of the correspondence and sought to shape people’s readings. The editors stated that, in this publication, readers would see a king “seduced out of his proper sphear”. On an explicit level, this comment claimed that Charles I was simply taking the wrong advice. He should be listening to parliament rather than corrupt officials or his foreign wife. But the very existence of this publication also challenged, on an implicit level, the sphere of royal power itself. Public faith in Charles I was dented. When he was executed three years later, the monarchy was abolished. Charles II’s private words fared little better than his father’s. This time the publication was authorised by an incumbent monarch – just not its author. Months after Charles II’s death, a three-page pamphlet entitled Copies of two papers written by the late King Charles II (1685) entered the press. The piece offered proof of Charles II’s conversion to Catholicism, which he had denied throughout his lifetime. In it, the former king criticised the “sandy Foundations” of the Protestant Church and embraced the Catholic faith. It is unlikely that Charles II, an artful dissembler, would ever have permitted this tract’s publication. But Copies of two papers written by the late King Charles II was circulated by his Catholic brother and successor, King James II, regardless. James II included a statement affirming that it was “written by the late King my brother in his own hand, which I found in his closset”. James II’s decision to publish Charles II’s writing was part of a broader strategy to encourage people to convert. The plan royally backfired. Rather than being inspired by Charles II’s writing, people became increasingly worried about the new regime. James II’s proselytising prompted questions about the limits of the king’s role, and how far he was willing to push them. One person who was particularly invested in this issue was James II’s daughter and heir, Princess Mary, to whom he sent a similar conversion narrative. Alarmed by James II’s “Arbitrary Government“, Mary and her husband William of Orange invaded England. They replaced the king in what was effectively a family coup. But before Parliament offered them the throne, ministers placed new constitutional limitations on the monarch’s role. How does an understanding of these seventeenth-century publications help us rethink today’s Supreme Court decision on Prince Charles’ memos? When Charles I’s correspondence and Charles II’s memoir circulated both the monarchy and parliament were more secretive institutions. 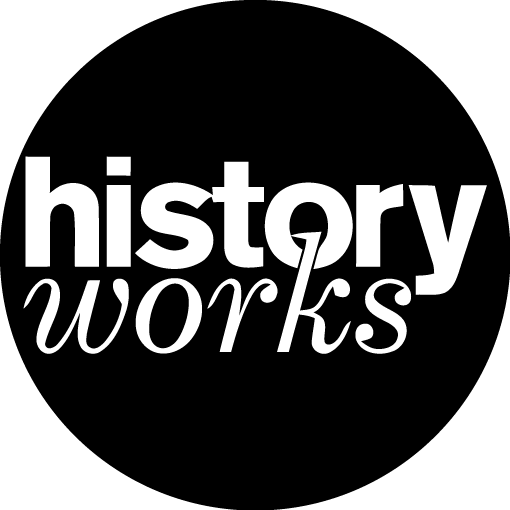 All “seditious and heretical pamphlets” were monitored by government censors (including newspapers). There was little semblance of today’s democratic debate. Nevertheless, the decision to publish the monarch’s writing gave people insight into the workings of political power. The modern publication of Prince Charles’ letters will also help to shed light on the monarchy’s continued role in political networks. Now seems an apt time to reflect on how that monarchy has been constructed, and the various voices that have shaped it.